We write on behalf of the Middle East Studies Association of North America (MESA) and its Committee on Academic Freedom to express our deep concern over the response of New York University to the decision of the government of the United Arab Emirates (UAE) to deny visas to two NYU faculty members who had been invited to teach at NYU’s campus in Abu Dhabi. Your administration’s silence about the cases of these two faculty members, as well as about several other cases, constitutes a betrayal of the university’s avowed commitment to guarantee academic freedom at NYU Abu Dhabi, and it makes a mockery of NYU’s claim to be a “global network university” across whose component parts scholars and ideas can flow freely. It may also constitute complicity in an act of discrimination by the UAE on religious or ethnic grounds – something that would be deemed illegal in the United States. The UAE authorities recently denied work visas to Professor Mohamad Bazzi of NYU’s Journalism Department and to Professor Arang Keshavarzian of its Department of Middle Eastern and Islamic Studies. Both are tenured members of the NYU faculty who had been invited to teach at NYU Abu Dhabi during the current academic year. We obviously cannot know why the UAE authorities denied visas to these two scholars. However, as we have noted in several letters to the UAE government protesting the detention and prosecution of Emirati dissidents over the past year (see http://mesana.org/committees/academic-freedom/intervention/letters-uae.html), the atmosphere in that country has grown increasingly repressive and intolerant of dissent. It is therefore plausible that UAE security officials were unhappy about something that Professor Bazzi and/or Professor Keshavarzian may have said, written or taught concerning UAE or Gulf region politics. However, it is also the case that both UAE and NYU Abu Dhabi security clearance forms require that applicants for visas specify their religion and sect, and so both Professors Bazzi and Keshavarzian were compelled to declare their Shi‘i origins. In recent months the UAE, along with Saudi Arabia, has expressed virulent hostility toward Iran and toward Shi‘i Muslims. In this context there is reason to suspect that these two NYU faculty members were denied entry to the UAE because of their nominal religious affiliation. If so, this would be an egregious case of discrimination on religious grounds. We note that there have been other cases in which NYU faculty and graduate students, as well as faculty from other universities invited to NYU Abu Dhabi, have been denied entry to the UAE, calling into question NYU’s claims about freedom of movement to its “portal” campuses such as NYU Abu Dhabi. NYU’s own data indicate that at least ten NYU faculty traveling to NYU Abu Dhabi were denied entry to the UAE through the end of the 2015-2016 academic year, along with a much larger number of researchers, staff, academic support personnel and students. Those denied visas constitute a small percentage of all those who applied for entry, but it is nonetheless evident that decisions made by the UAE authorities on the basis of political, ethnic and/or religious criteria are having an impact on who may teach, study, conduct research or work at NYU Abu Dhabi – a far cry from the vision of this institution that NYU has propagated since its inception. We note further that, despite NYU’s promises that NYU Abu Dhabi faculty will enjoy “full academic freedom as it exists in New York” (http://nyuad.nyu.edu/en/about/faqs.html), it is clear that those who teach or study there face growing constraints and pressure about what they can say in the classroom and beyond, resulting in self-censorship. There have, for example, been reports about restrictions being placed on academic events at NYU Abu Dhabi relating to issues the UAE authorities deem politically sensitive, and the campus apparently no longer enjoys the completely unrestricted internet access it was initially promised. We also find it distressing that, according to a recent report (https://www.thegazelle.org/issue/116/news/https-s3-amazonaws-com-thegazelle-gazelle-2017-09-qatar-situation-talk_shenuka-corea-jpg), NYU Abu Dhabi officials have told students there that they draw a distinction between freedom of speech on campus (which they regard as subject to local laws and restrictions) and academic freedom (which they define as relating solely “to the function of the university in its teaching and research capacities”) – though they add that “any publicly accessible expression,” whether online or on campus, might in fact also be subject to local laws. We regard this as Orwellian double-speak which makes a mockery of the principles of academic freedom and which can only have a chilling effect on faculty and students at NYU Abu Dhabi. NYU officials have repeatedly asserted that, as a sovereign country, the UAE has the right to grant or deny entry to anyone it chooses and to pursue whatever internal policies it sees fit, however repressive. NYU officials also point out, correctly, that the United States has not infrequently denied visas on political grounds to scholars and others invited by U.S. universities. When that happens, however, the host university in the United States typically issues a public rebuke to the U.S. government. In contrast, while you and other NYU leaders have repeatedly spoken out against the current U.S. administration’s immigration and visa policies, you have thus far refused to publicly criticize the UAE’s denial of entry to two tenured members of your own faculty. 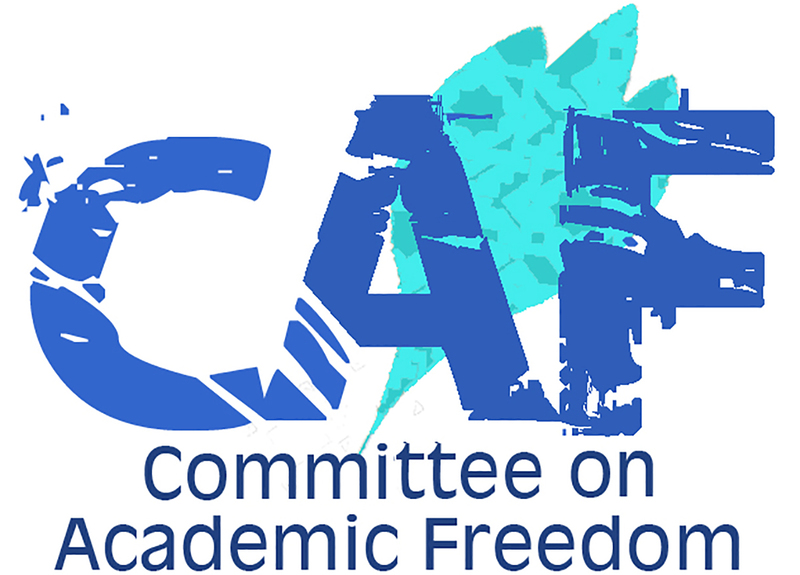 Nor have you or other university leaders responded consistently, vigorously and in a principled way to growing threats to and infringements of academic freedom and freedom of speech at NYU Abu Dhabi. Over the past decade NYU has developed what it characterizes as a close educational and financial “partnership” with the UAE, and Khaldoon Khalifa Al Mubarak, an Emirati businessman who chairs Abu Dhabi’s Executive Affairs Authority and is close to that emirate’s ruling family, sits on NYU’s board of trustees and oversees the development of NYU Abu Dhabi. As we see it, this relationship heightens NYU’s responsibility for what happens in the UAE; at the same time, one might expect that it would give the university some leverage it could use to ensure that the UAE lives up to its commitments to NYU. In this context, your silence up to this point on the issues we raise here, and the university’s failure to effectively challenge the recent visa denials or to insist that its faculty in the UAE are assured the same academic freedom protections they would enjoy in New York, call into question the educational mission, autonomy and integrity of NYU Abu Dhabi. We call on NYU to reject in principle the denial of visas to Professors Bazzi and Keshavarzian, and to work for the prompt reversal of these decisions. We further call on NYU to insist that the UAE live up to the principles and commitments NYU invoked when it launched NYU Abu Dhabi, including full respect for academic freedom, nondiscrimination on religious and ethnic grounds, and the right of that institution to employ whomever it chooses to teach its students and conduct research. Finally, we call on the NYU community, including faculty and students, to engage in a thorough, public assessment of the university’s responsibility to uphold its professed values when it operates in other countries, especially those with authoritarian regimes where freedom of speech and academic freedom are severely limited.